If this development doesn’t sit well with you either, know that you and I are not alone. Parisian lawyer Agnès Tricoire tells the Times, “If you follow [the foundation’s] arguments, it means that they have lied for years that [the diary] was only written by Anne Frank.” For an organization that claims to “want to protect Anne’s legacy,” muddling the question of authorship seems a funny way of doing that. 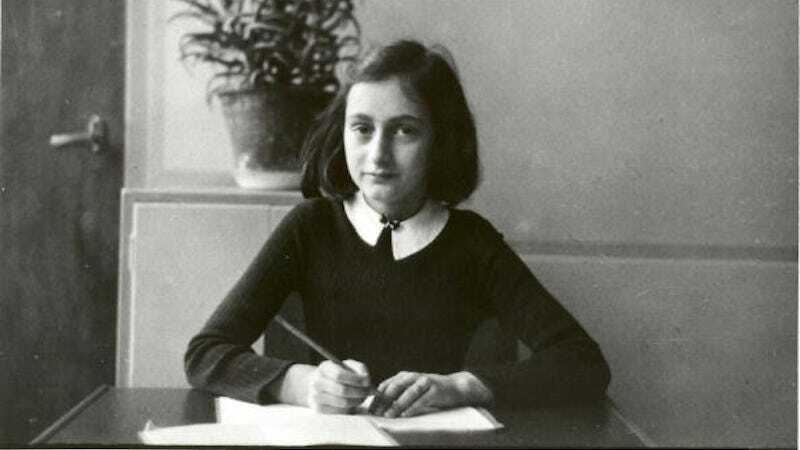 It’s true that Otto Frank “has long been acknowledged as an editor and compiler” of The Diary of Anne Frank, but these are very particular roles, and not ones that we conflate with authorship. An editor shepherds and refines the work of an author; they do not claim the ideas as their own. As Cory Doctorow writing for BoingBoing points out, by claiming co-authorship, “the Foundation is arguing that the diaries don’t represent Anne’s views and thoughts, but rather, that they have been intentionally distorted by her father to the point where they can no longer be said to be a faithful rendition of her diaries” (emphasis Doctorow). Say, however, that the Anne Frank Fonds is honest when it claims that its sole aim is to “make sure that Anne Frank stays Anne” – not, as many assume, profit. It does, after all, donate considerable proceeds to charity. And intellectual property law is complex business. We certainly cannot know the intricacies of a such a labyrinthine legal situation. Anne Frank “stays” Anne to the extent that we continue to read her, love her. But it’s foolish to assume that her legacy can be a static one, or that one interpretation–or translation–of her diary will prevail. Reading is too fundamentally personal for that. We ought to make Anne’s words available to all who seek them, to facilitate the bittersweet joy of knowing her in one’s own way.